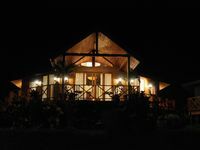 Property 1: Lake Arenal: Lake View,Location,Wildlife,Pool,Wifi, King Beds! Property 7: Simply the best, incredible views,pool,delicious food and a friend in the area. Property 8: Gorgeous Cottage with Pool & Jacuzzi access & Spectacular Volcano & Lake views. Lake Arenal-Stunning views of the lake, volcano and jungle. Property 13: Lake Arenal-Stunning views of the lake, volcano and jungle. Stunning Lake Arenal and volcano view from our spacious balcony!! Property 15: Stunning Lake Arenal and volcano view from our spacious balcony!! Property 16: Villa Esperanza, Breathtaking views of Lake & Volcano Arenal...! Luxury In The Jungle Above Beautiful Lake Arenal with FREE BREAKFAST! Property 22: Luxury In The Jungle Above Beautiful Lake Arenal with FREE BREAKFAST! Arenal Volcano and Lake View Getaway In The Hilltops Of Rio Piedras. Property 30: Arenal Volcano and Lake View Getaway In The Hilltops Of Rio Piedras. Spectacular Jungle Villa for 6, Free Nite Hike, Extraordinary Views, Hot Tub! Property 31: Spectacular Jungle Villa for 6, Free Nite Hike, Extraordinary Views, Hot Tub! Studio Apartment with Volcano view, form terrace. HOT Breakfast included daily! Property 33: Studio Apartment with Volcano view, form terrace. HOT Breakfast included daily! PRESIDENTIAL PENTHOUSE SUITE!! LAKE ARENAL VIEWS!! Property 36: PRESIDENTIAL PENTHOUSE SUITE!! LAKE ARENAL VIEWS!! Amazing Volcano,Lake & Jungle Views!. Entire Villa for $275-night. Property 39: Amazing Volcano,Lake & Jungle Views!. Entire Villa for $275-night. On-Property: Zip-Line, Horseback, Bird-Watching/Wildlife and Hiking Tours. Property 42: On-Property: Zip-Line, Horseback, Bird-Watching/Wildlife and Hiking Tours. Exclusive Hidden Treasure!! Casa Escondido!! Private lake view vacation home!! Property 46: Exclusive Hidden Treasure!! Casa Escondido!! Private lake view vacation home!! Junior Suite Private Room, A/C, Balcony Volcano View. Property 49: Junior Suite Private Room, A/C, Balcony Volcano View. Gorgeous Luxury home with Pool & Jacuzzi access. Awesome Lake & Volcano views. Property 50: Gorgeous Luxury home with Pool & Jacuzzi access. Awesome Lake & Volcano views. All the lake vacation rentals in Costa Rica. Thank you George for the wonderful time we had with our family at casa Lago Arenal. The property description and pictures are exact as advertised. Thanks you for your superfast responses by emails. There are beautiful lake and mountain views from the house and casita and we loved sitting around and walking on the deck. The pool by the clubhouse is awesome with great views of Lake Arenal. The house was maintained spotless. This house is in a resort with round the clock security where there is an office with well maintained yard and trees and flowers around the resort property with other similar type octagonal villas. This is a high end house especially in Costa Rica. I would surely recommend this house to anybody wanting to rent a house around Arenal area. The amenities in the house are 5 stars. There is a full kitchen with 6 burner stove, Granite countertop,dish washer,Microwave, DVD/Satellite TV, WII console, Broadband Internet with a Laptop Computer for use by guests. And most of all great big showerheads with 24 hrs hot water. The linens and towels and all the items provided were high class. There is also a First Aid kit which I have not seen in any houses I have rented anywhere. George gave us exact details on the house and activities nearby and the office also helped in guiding us with directions and activities etc. There is maid service available. The maid is the private cook and the same person cleans and does laundry for you if needed. It&rsquo;s a good way to pamper yourself when on vacation. The house is kid friendly with high chair, munchkin inflatable bath tub, and flat aero bed if needed. Overall we had the best and relaxing time in Costa Rica. I will surely rent it again on my next visit.